Canon EOS-1DX Mark II is the new flagship camera of canon with arguably the best features to date. It also produces awesome images and video quality. The camera boasts a 20.2 MP full frame sensor with dual DIGIC 6+ image processor, a 61-point AF system and up to 4K 60P or Full HD 120P video with dual pixel CMOS Autofocus for fast video autofocus and tracking. 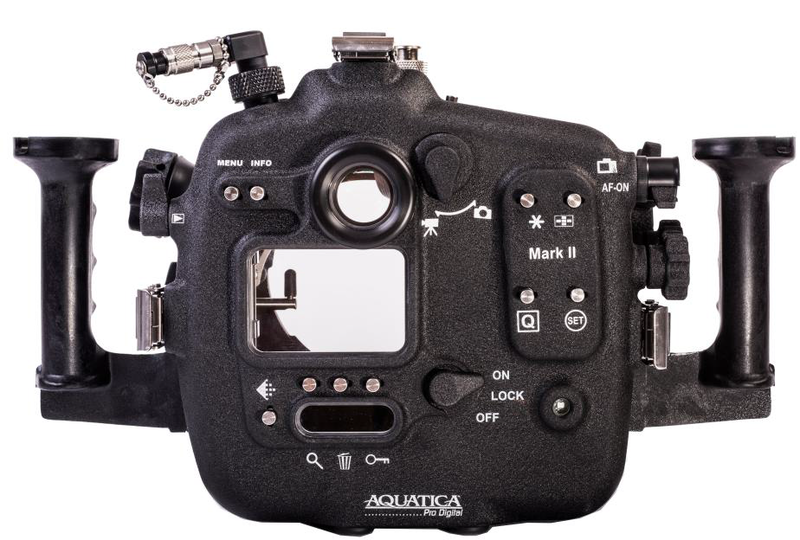 Aquatica has just released housing for Canon EOS-1DX Mark II. 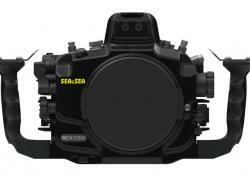 Knowing Aquatica, they have built an underwater housing to endure even the toughest condition. In addition, housing features to be ergonomically designed. Aquatica is also including the vacuum system (sensor, valve and pump) with the housing upon purchase. This ensures that the housing is fully sealed and gives the user and peace of mind. Aquatica is proud to announce its new housing for Canon's second generation of its most advanced action photography pro camera, the Canon EOS-1D X Mark II. With easy to reach controls, our new lens gear system and uncompromised viewing, this new Aquatica housing puts the Canon 1DX MKII into the hands of photographers shooting in the world’s most demanding underwater environments. Our A1 DX MkII ships with our new atmospheric pressure sensitive circuitry and moisture detector as well as the valve and pump. We decided to have this add on as a standard feature on your housing to allow you to monitor the vacuum pressure inside the housing. 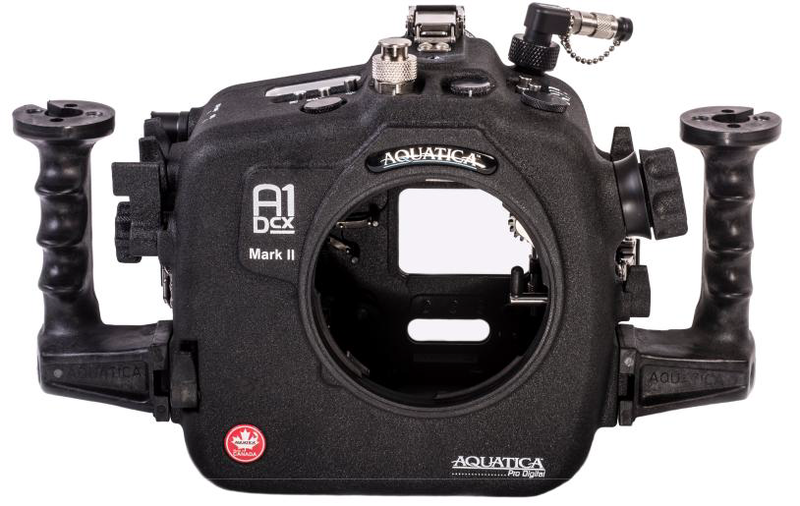 The A1 DX MarkII housing has three bulkhead access holes ready to accept external accessories such as our Aquatica Remote trigger, our Water Wizard (an external radio transceiver housing) and third party external monitors and other accessories. More than 30 years of expertise have helped craft this A1 DX MKII ergonomic design. It’s a design strongly influenced by working closely, and listening to the input of professional image makers from around the world. The result is an unparalleled attention to detail and expertly crafted solutions. Viewing is through our own exceptional Galileo-type eye piece. 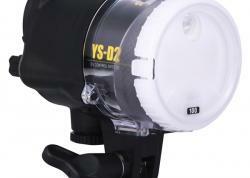 This high quality and coated optical finder gives a bright and full view of the finder. 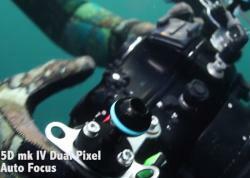 The A1 DX MarkII is also fully compatible with our accessory Aqua View 180, and Aqua View 45 finder, for those who are seeking the ultimate in still image viewing, these two enhanced Aqua View finders deliver second-to-none clarity, providing tack sharp corner to corner viewing for composing and critical focusing. The A1 DX MarkII also retains our trademark molded grips, the industry standard of comfort for the last 25 years. Lightweight and molded of one piece, they never come unglued or corrode. On top of both grips, threaded mounting holes are ready to accept the popular mounting bracket of our Technical Lighting Control-Delta 3 system as well as being compatible with most current strobes and lighting arms on the market. An extra mounting point for a focus/video light or other accessories is included on top of the housing and three additional mounting points are provided under the housing for various brackets, supports or tripods.